We Have Wonderful Park and Museum Passes to Make Every Day an Adventure! The passes are available on a first-come-first-serve basis and can be checked out for 7 days. The passes are very popular and we ask folks to return the passes as soon as they are able. The passes can be returned in the Book Return on the library porch. Log into your Library Account to reserve a pass! The Library Pass is a FREE family admission pass. the museum is open seasonally Memorial Day weekend to October 31st. The Museum is open daily 10:00 AM-5:00 PM. The Library Pass to Billings Farm and Museum is a free admission pass good for up to 2 adults and their children under the age of 18 per pass. Billings Farm and Museum is open daily but with changing seasonal hours. SUMMER HOURS: Open daily, April – Oct., 10:00 AM to 5:00 PM. Echo is open everyday 10:00 AM to 5:00 PM. The pass discounts the entry to $7 admission per person and is valid up to 4 guests. Or, if you are visiting in the off-season the Walking Trails open, 10:00 AM – 4:00 PM, weather permitting. 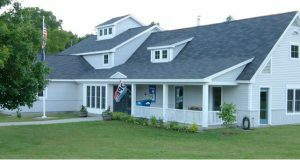 Please check in at the Welcome Center & Farm Store, open 10:00 AM – 5:00 PM. Opening Times vary site to site. VINS is open year round, but days/hours change seasonally. Contact VINS before your trip to make sure they are open. Hartland Public Library offers two 3-day passes, good for up to 2 guests per pass.